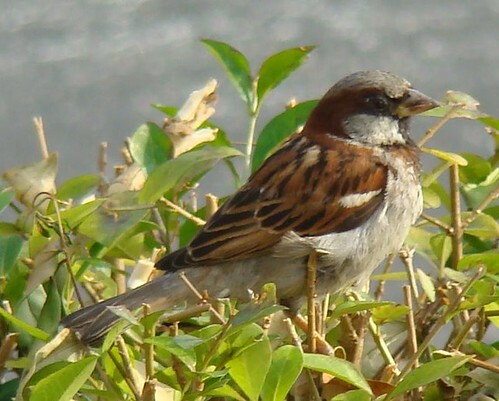 I`d written almost 4 months back about how I hoped to lure a group of sparrows from the neighbourhood into my garden. 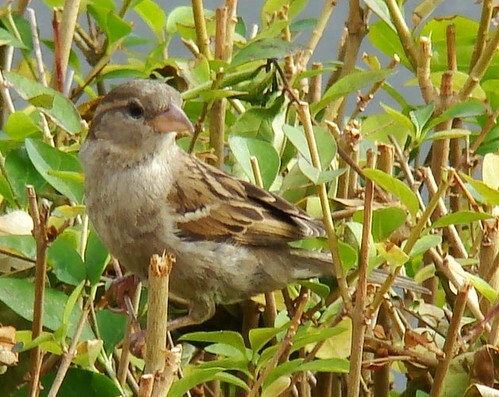 It seems my wish has been granted, the only problem being that the sparrows seem to have taken over my feeder completely! 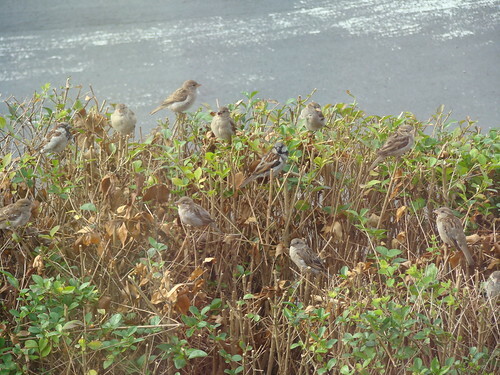 How many sparrows can you count in the picture below? here`s a closeup shot, theres more of them sitting below. 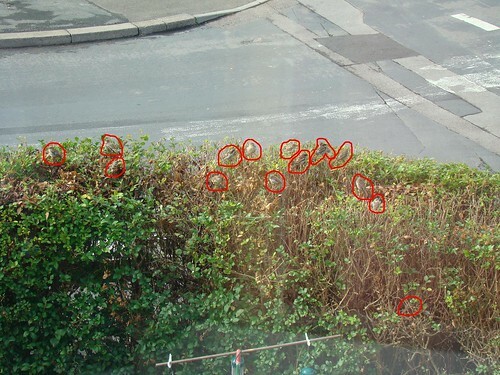 They descend upon the feeder like a cloud (I`ve counted upto 25 together!) and feed voraciously. They can finish the whole feeder in less than a day! and messy eaters they are! I think they drop more than they eat. Its only when the feed runs out in the feeder that they bother picking it off the ground. 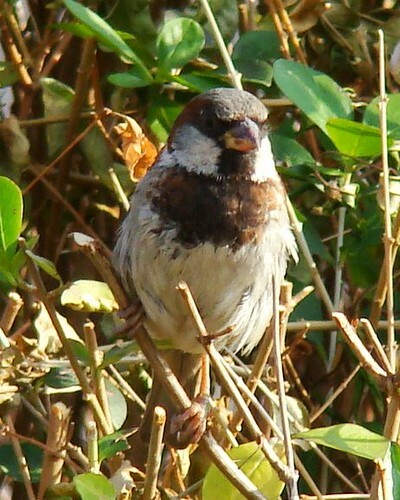 However they have recently started feeding from the peanut feeder too. Now only if they would put the nyger seed feeder to use too. 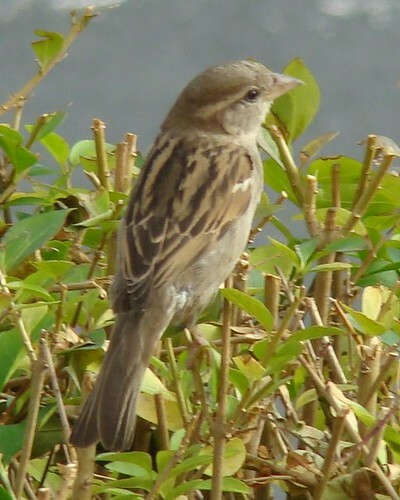 With so many sparrows colonising the feeder, I wonder if I`m ever going to get any other bird. The dunnocks that used to be regular visitors, seemed to have vanished! I can only wait and watch.